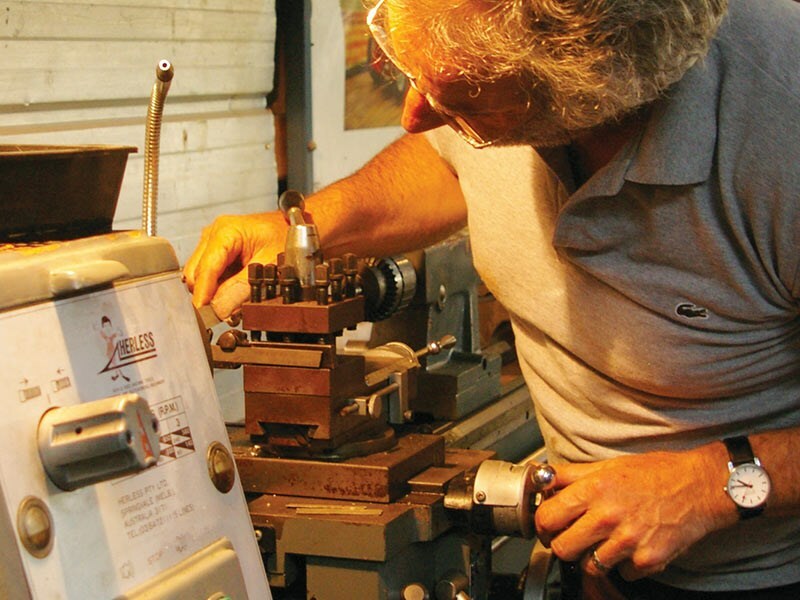 In the shed: Do you really need a lathe? How to spend a thousand dollars making something that costs two cents. Do I need a lathe? Since you ask, no, of course I do not need a lathe. "Need" is not the same as "want". But that has not stopped me lusting after one, searching websites for the unloved single-phase gap bed screw-cutting objects of my fantasies. I am taking forever to restore a 1923 B2 Citroen. It arrived incomplete, like most annoying French things. Across the bodywork and drive train, there are about half a dozen tricky but pretty, knurled metric-thread stepped steel nuts. They may as well be made of unobtainium. I have one that I can copy. Imagine going to an engineering works and asking them to make six or eight of these? It would be like asking Matt Preston to boil an egg. More fun to make them yourself. First, enrol in a TAFE night class on turning and fitting. Spend fifteen evenings being an apprentice. Buy a grey dustcoat and some safety glasses. Learn the sublime pleasure of how to turn and fit. Start admiring swarf in your spare time. Stay married if you can. Next, trawl bidding websites in futile desperation when a cheap but quality used, but not antique, lathe appears within a workable distance from home. Get outbid several times and curse the internet, blaming anyone but yourself for being a tightarse. Note how many of the ads say "hardly used". Contemplate how you are engaging in the same delusions and fantasies as so many bold souls before you. Find an old but good quality orphan being sold from a deceased estate. Haggle. Commit. Pay. Then work out how to get said monster into your shed. Clear a space for it in the garage. This is so easy to write, but it took two weekends to do. Borrow the neighbour’s trailer. Discover the guy selling his deceased father’s lathe knows nothing about it or how it works or where all the components and tools are. But at least he has a forklift at the factory where it has lived. That gets it onto the trailer, but there is no forklift in my shed to get it off. Take all the cars out of the shed to make room for the over-laden groaning trailer. This took hours. After all, the cars that are in the way do not go, do they? That is why they are in the shed, to be turned into cars that one day will go. Get the lathe, on the trailer, into the shed and adjacent to where the lathe is supposed to go. This involves many cups of tea and sometimes something stronger. Stare at trailer laden with lathe. Stare at empty wall space. Imagine having a magic wand. Put a trolley jack under the rear of the trailer. Unhitch the trailer from the tow ball. Slowly lower the trolley jack. Get the lathe to slide down the trailer floor until it is touching the ground. Slowly nudge trailer away, scraping huge gouges in concrete of garage floor and leaving lathe sitting in wrong spot as well as leaving neighbour’s trailer and my garage floor scarred for life. Ring everyone you know offering various inducements and bribes to assemble small army of helpers. Discover that each of oldest son’s young builder mates are worth three old farts like me. Drag and nudge lathe into what I now called the ‘Engineering Division’ of the shed. Discover that it cost almost as much in beer to reward helpers as buying a forklift. Plug in lathe. Watch it turn. Smile to sleep that night. Better than seeing a shrink. And cheaper. 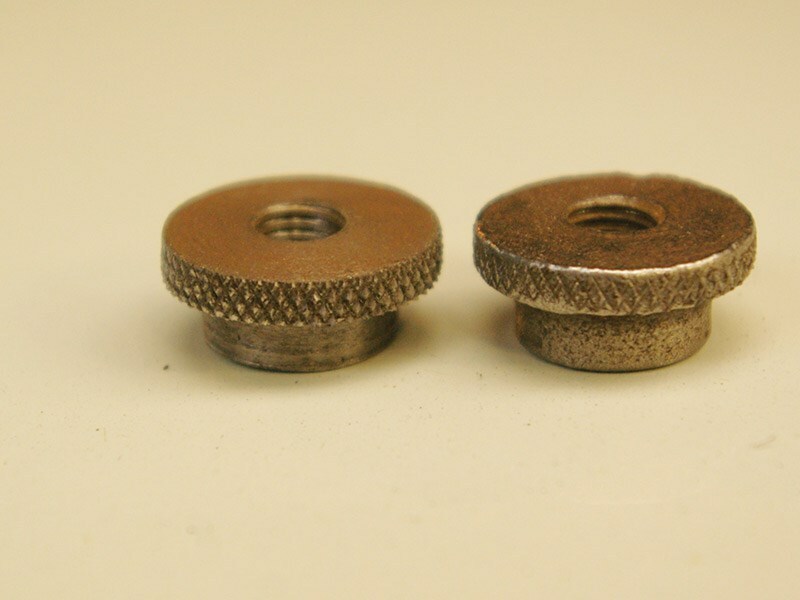 Dream the righteous dream of soon making two cents worth of stepped knurled metric nut.